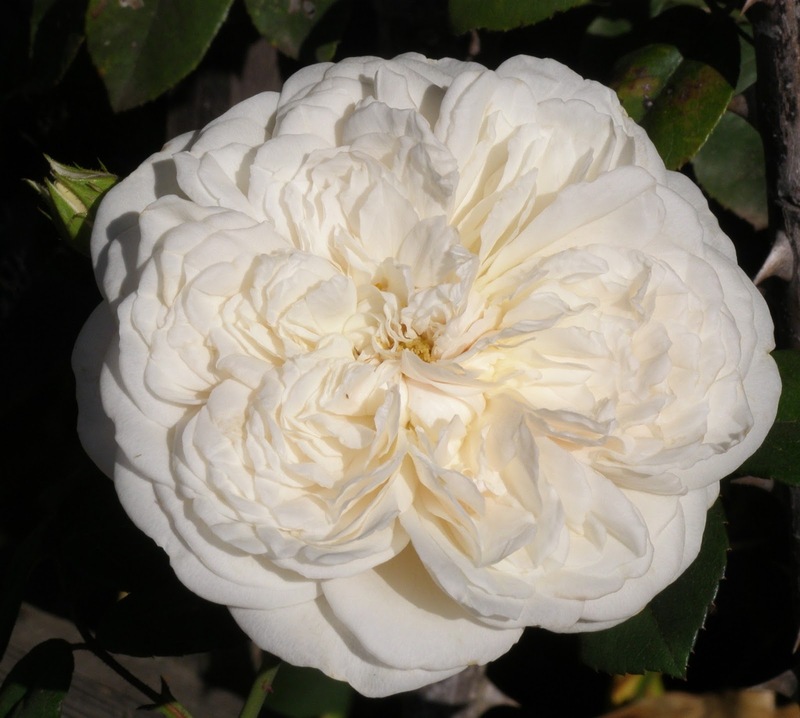 Perhaps my all-time favorite rose in the garden, Sombreuil, like many roses that have been around for a long time, has a long list of attributes. It truly is what Heaven is going to smell like, every day for eternity. It has a strong tea fragrance yet very light, not overpowering but always present. 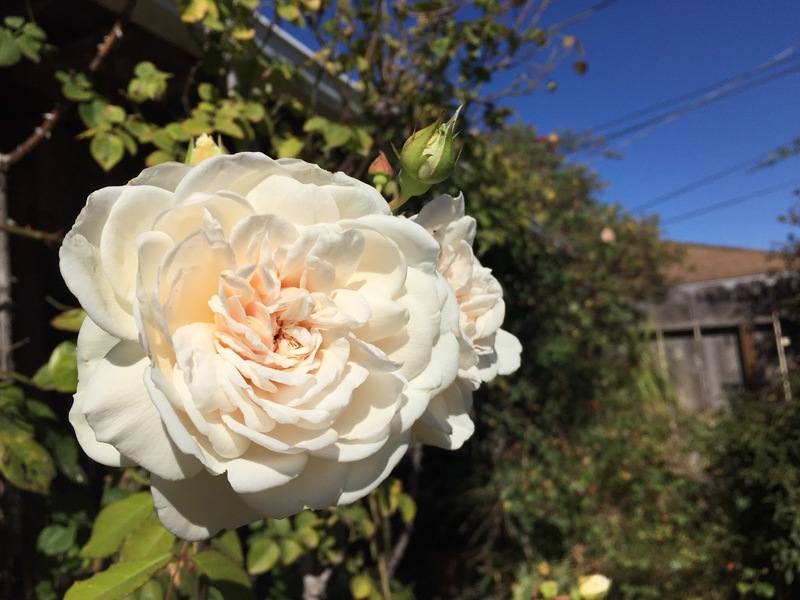 In spite of its hundred or so petals, it easily opens in California coastal gardens. Sombreuil is a small climber and one if grown in full sunlight will have leaves and flowers from its top to its bottom, unlike many other climbers. Its thorns deserve respect and the plant does well after a good winter pruning. Be prepared to have your garden or patio covered in fallen petals. They dry to a beige color and nearly form drifts when the wind blows.